Cannot wait for the 2018 FIFA World Cup Russia™? 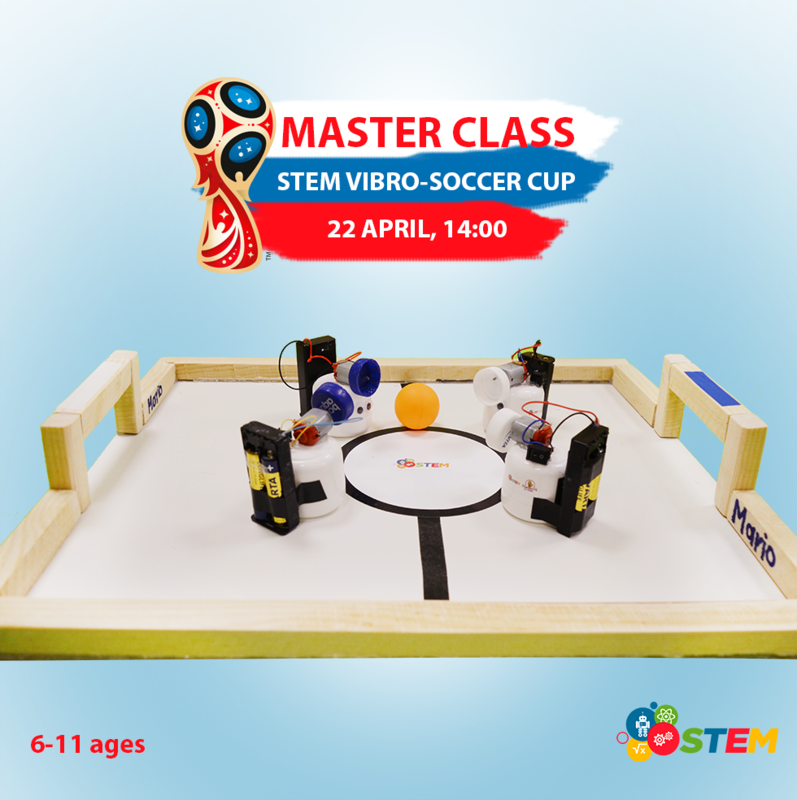 Then bring your kids to the First STEM Vibro Soccer Cup! Our young robo-soccer players will build their own vibrobots and decorated them with the colors of their favorite teams. Then they will put their creations to play a match in our mini-soccer field! Also, kids will explore concepts like Eccentric Rotating Mass (ERM) and Swarm Robotics.